Gymster Gymnastics is a FUN developmental program for preschoolers with movement based gymnastics activities that develop the whole child. Our monthly themed curriculum incorporates early learning skills like colors, shapes and numbers into gymnastics circuits your child will flip for. Our primary goal is to help your child build confidence and feel a sense of accomplishment. ATA’s Gymster curriculum is structured in such a way that all students can experience success. We offer a building block progression of skills in a structured, age appropriate program. Whether your child is just starting to walk or is bouncing off the walls, we have a class for you! For more information or to schedule a FREE trial class, CALL TODAY! 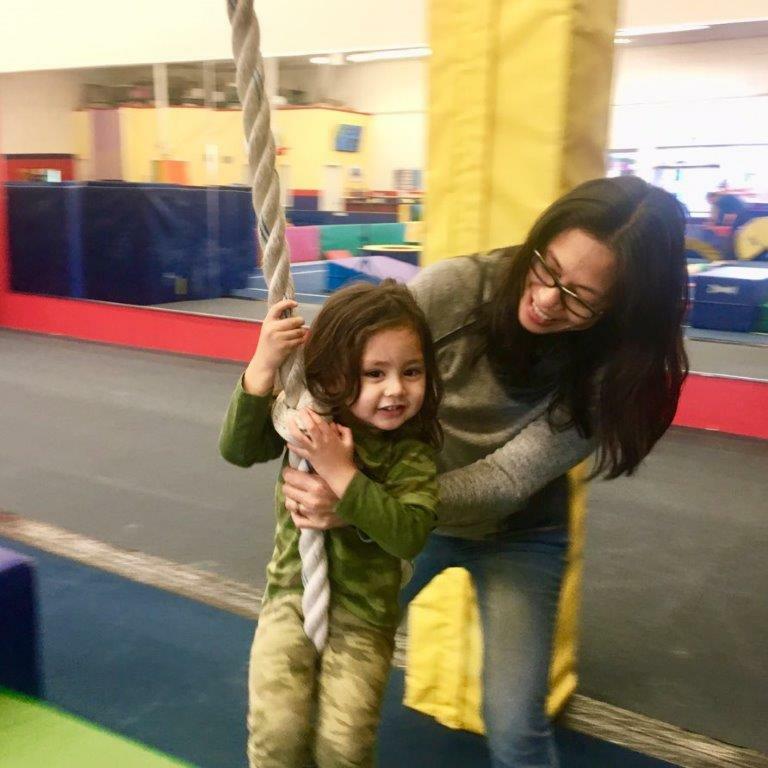 A FUN parent-child class where toddlers PLAY, jump and tumble in a safe, gymnastics environment. We’ll practice taking turns, making new friends and interacting with other adults. Students in this class practice gross motor, balance and agility and gymnastics skills. Don’t miss our monthly themes! Come explore with us! This parent participation class is for students who have taken GymBugs and are ready for a more structured class. This class focuses on getting the child ready for an independent class by learning how to wait their turn, follow directions and listen to instruction. This class includes 10 minutes of free play before a structured circle time and skill stations. 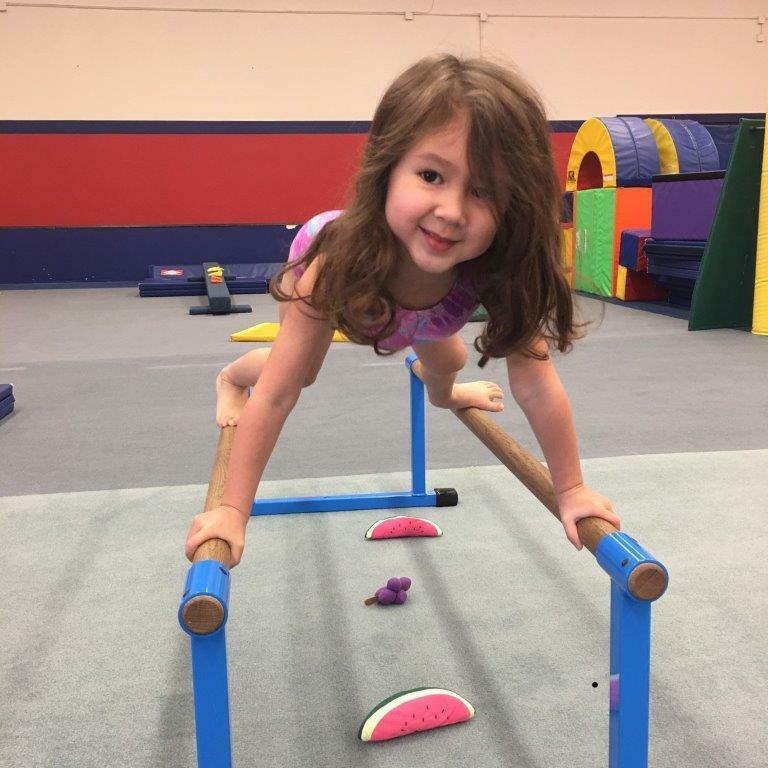 A new theme each month keeps learning gymnastics FUN! A structured class focusing on basic gymnastics skills such as forward rolls, backward rolls, handstands and cartwheels as well as other fine and gross motor skills. Gymnastics shapes and terminology are introduced as well as colors, numbers and counting. This class is a great way to prepare your child for preschool as they learn to follow instruction, take turns and cooperate with others. 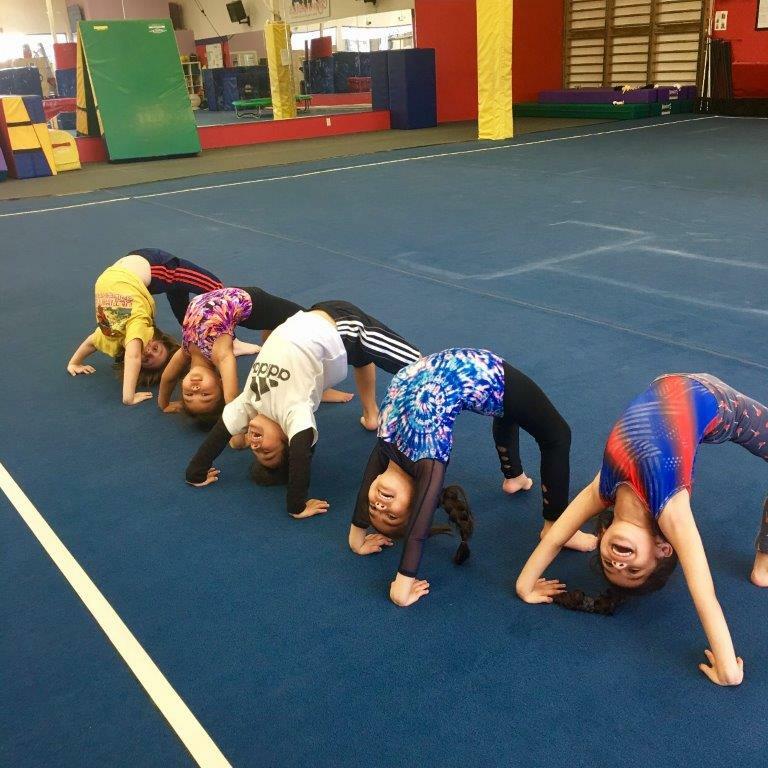 A new theme each month keeps learning gymnastics FUN! 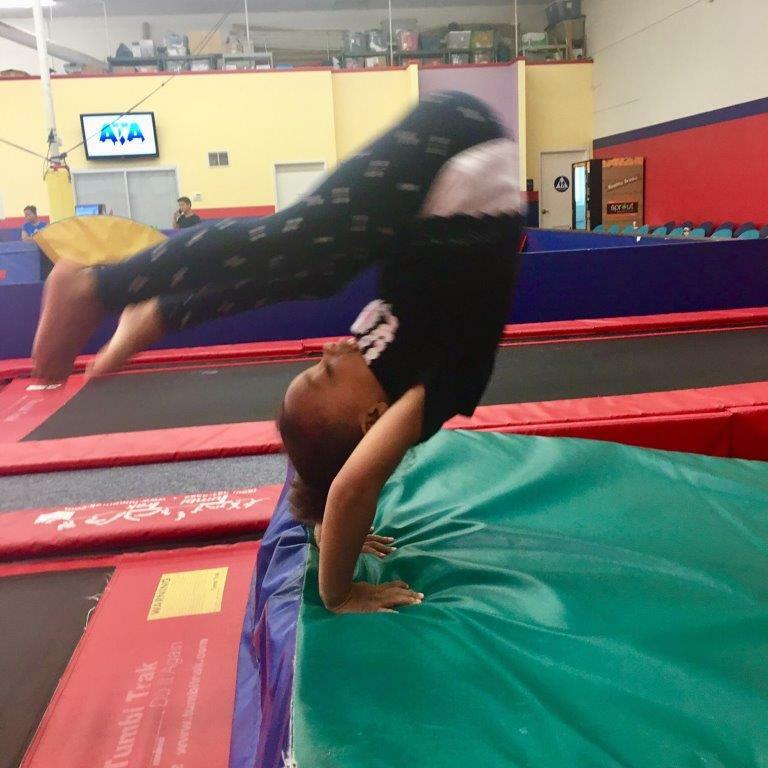 A structured class focusing on basic gymnastics skills such as forward rolls, backward rolls, handstands, cartwheels and bridges as well as other fine and gross motor skills. More attention is placed on skill technique. Gymnastics shapes, terminology, colors, numbers and counting are taught. This class is a great way to prepare your child for kindergarten as they learn to follow instruction, take turns and cooperate with others. A new theme each month keeps learning gymnastics FUN! Level 5: GymStars – (4.5 – 6 years, by teacher recommendation only) Prerequisites: Cartwheel and a strong bridge. A structured class focusing on bridge-walking, run hurdle cartwheel, dive roll on an incline mat, bridge kick-over on an incline mat, backward roll on floor, handstand forward roll and handstand to bridge. Emphasis is placed on flexibility and strengthening and proper technique. This class is fast-paced and FUN! Open gym is included for any student enrolled in a Gymster class. Come explore, play, practice your skills and make new friends! Non-members are also welcome. Check the schedule for times and pricing. A waiver must be signed by a parent or guardian to participate. A parent or guardian must be on the gym floor supervising children under the age of three.